Catholics today are not required to believe in a Catholic confessional state. If anything, they are required to believe that everyone has a right under the natural law to religious freedom, that the state has no authority in religious matters, and that coercion of religious activity by the state is morally wrong. In short, integralism is contrary to Catholic doctrine. A few Catholic intellectuals are now advocating integralism, the nineteenth-century doctrine that (ideally, if not always in practice) the state should be confessional. In other words, they believe that the state should officially endorse the Catholic faith and act as the secular arm of the Church by punishing heresy among the baptized and by restricting false religious practices if they threaten Catholicism. For instance, Joseph G. Trabbic has argued here in Public Discourse that it is “papal teaching” that “a Catholic confessional state is ideal,” and that this “definitive Church teaching” is “normative for Catholics.” Indeed, he argues that this teaching has as much authority as the teachings of the Council of Nicaea, which means that Catholics have to believe in a confessional state just as they have to believe in the divinity of Christ. Catholics who are not integralists are heretics. This is almost the exact opposite of the truth. Catholics today are not required to believe in a confessional state. If anything, they are required to believe that everyone has a right under the natural law to religious freedom, that the state has no authority in religious matters, and that coercion of religious activity by the state is morally wrong. That is, integralism is contrary to Catholic doctrine. Integralists base their case on encyclicals of Popes Gregory XVI, Pius IX, and Leo XIII, who all taught that the state should profess and favor the Catholic religion, even though they allowed that such an arrangement could not always be achieved in practice. Trabbic relies mostly on Leo XIII, who taught in Immortale Dei that “the Church . . . deems it unlawful to place the various forms of divine worship on the same footing as the true religion,” by which he of course meant Catholicism. A stronger argument comes from Pius IX’s Quanta Cura, which condemned the proposition that “the best condition of civil society” is that in which “no duty is recognized, as attached to the civil power, of restraining by enacted civil penalties, offenders against the Catholic religion.” On such bases, integralists say, Catholics are required to believe that a confessional state is ideal. Trabbic refers to “papal teaching” and beliefs “normative for Catholics,” but these are not the terms of Catholic doctrine. What the Church actually says about its own teaching authority is set out in Lumen Gentium (no. 25) and codified in Canons 749-754 of the Code of Canon Law. The Congregation for the Doctrine of the Faith’s Doctrinal Commentary on the Concluding Formula of the Professio Fidei explains the doctrine and gives illuminating examples. What makes a teaching de fide? As explained in Lumen Gentium, the charism of infallibility may be exercised either by the Roman Pontiff acting alone or by the bishops of the Church acting with him. In the first way, when “the Roman Pontiff … by a definitive act . . . proclaims a doctrine of faith or morals” (that is, speaks ex cathedra), “his definitions . . . are . . . irreformable” (the so-called extraordinary magisterium). In the second way, the bishops “proclaim Christ’s doctrine infallibly whenever, even though dispersed through the world, but still maintaining the bond of communion among themselves and with the successor of Peter, and authentically teaching matters of faith and morals, they are in agreement on one position as definitively to be held” (the so-called ordinary and universal magisterium), above all when they are “gathered in an ecumenical council” (another form of the extraordinary magisterium). The purpose of the infallible magisterium is “to preserve God’s people from deviations and defections and to guarantee them the objective possibility of professing the true faith without error” (Catechism of the Catholic Church, no. 890). Hence, “this infallibility . . . extends as far as the deposit of Revelation extends” (Lumen Gentium, no. 25). As explained in the Doctrinal Commentary, this means that the infallible magisterium is limited to matters proposed “as divinely and formally revealed” (propositions de fide divina et catholica), as well as to matters “necessary for faithfully keeping and expounding the deposit of faith” even if not themselves divinely revealed (propositions de fide ecclesiastica et catholica), such as the legitimacy of papal elections and the validity of ecumenical councils, and to the principles of the natural law. The articles of faith in the creed taught by the Council of Nicaea are de fide. Thus, when Trabbic says that Catholics must believe the nineteenth-century teaching about the confessional state in the same way that they must believe the dogmas in the Nicene Creed, he is saying that this teaching is de fide. But not everything the pope teaches is taught ex cathedra. On the contrary, virtually everything the pope teaches is not taught ex cathedra. The standard examples of papal teachings that are not ex cathedra are teachings of the popes in their encyclicals. Thus, Sixtus Cartechini, in his standard work De Valore Notarum Theologicarum says that “everything found in encyclicals and other official documents” (emphasis in original) “can be said to be doctrina catholica.” Francis J. Connell, probably John Courtney Murray’s fiercest critic before the Second Vatican Council, says that “besides the infallible teaching of the Church on matters concerning revelation or connected with it, there are also pronouncements of her official teachers which are authoritative though not infallible,” and “the statements of the Sovereign Pontiff in Encyclicals are usually of this category.” Indeed, Pius XII says in Humani Generis that “in Encyclical Letters . . . the Popes do not exercise the supreme power of their Teaching Authority.” So, prima facie, whatever Gregory, Pius, and Leo said about the confessional state in their encyclicals is doctrina catholica, not de fide. Exceptions are possible, however, and many nineteenth-century theologians (including such greats as Louis Billot and John Henry Newman) thought at least some teachings in Pius IX’s 1864 encyclical Quanta Cura were ex cathedra (they generally did not say which). This, however, is untenable. Pius IX taught ex cathedra in his bull Ineffabilis Deus (1854) defining the dogma of the Immaculate Conception, and Quanta Cura is nothing like Ineffabilis Deus. In the latter, Pius expressly stated he was “defin[ing] a dogma of the Catholic faith,” and he invoked “the authority of Jesus Christ our Lord, of the Blessed Apostles Peter and Paul, and . . . [his] own authority” to “declare, pronounce, and define” a doctrine that was “revealed by God” and must “be believed firmly and constantly by all the faithful.” Pius XII, in defining the dogma of the Assumption in Munificentissimus Deus (1950), used similar language. In Quanta Cura, however, Pius IX invokes merely his “apostolic authority” to “reprobate, proscribe, and condemn” all the “evil opinions and doctrines severally mentioned in this letter,” which the reader must then hunt up for himself elsewhere in the document. Moreover, Pius never actually says that any of the condemned propositions is heretical (the opposite of de fide), leaving open the possibility that they are wrong in some lesser way (such as being “proximate to heresy,” “erroneous,” or “rash”—the so-called lesser theological censures). Under Canon 749-3, “No doctrine is understood as defined infallibly unless this is manifestly evident.” Quanta Cura does not come close. Much less do any of the other nineteenth-century encyclicals on the confessional state. Moreover, the infallible magisterium extends only to matters “divinely revealed,” things closely connected thereto, and the principles of the natural law. Since the doctrine of the confessional state involves duties owed to the Church, it is obviously not part of the natural law. Moreover, there is no hint of such a doctrine in scripture, and nothing like it appears in tradition until many centuries after the time of the apostles. Accordingly, none of the popes teaching this doctrine ever claimed it was divinely revealed (or closely connected to anything so revealed). Therefore, the infallible magisterium does not extend to this doctrine. That does not mean that the Church may not teach on such questions—it certainly may, just as it may teach on other social and political issues—but such teachings cannot be infallible and so cannot be de fide. Thus, the teaching on the confessional state in the nineteenth-century encyclicals is exactly what it appears to be—doctrina catholica and not de fide. Catholics were never required to believe it in faith, but they were required to give it a religious submission of intellect and will. Doctrina catholica can be abrogated by later teaching, and that is exactly what happened to the teaching on the confessional state when the Second Vatican Council taught contrary doctrines in Dignitatis Humanae, its Declaration on Religious Freedom. Some integralists argue that Dignitatis Humanae did not abrogate prior teaching on the confessional state because the decree states that it “leaves intact the traditional Catholic teaching on the moral obligation of individuals and societies towards the true religion and the one church of Christ.” But, as Martin Rhonheimer points out, the Catechism of the Catholic Church (no. 2105) excludes this interpretation. It says that the passage in question refers to “the duty of offering God genuine worship . . . both individually and socially,” which involves “infusing the Christian spirit into the mentality and mores, laws and structures of the communities in which” Christians live and “mak[ing] known the worship of the one true religion which subsists in the Catholic and apostolic Church.” In other words, the “the traditional Catholic teaching” that Dignitatis Humanae “left intact” is not the teaching on the confessional state but the much older teaching—indeed, the apostolic teaching—that the Church is to evangelize the world, including human institutions in society. Integralists also argue that Dignitatis Humanae preserved the teaching on the confessional state because the decree states that in “peculiar circumstances,” “special civil recognition” may be “given to one religious community in the constitutional order of society.” This, however, is not the older teaching at all. For Leo XIII in Immortale Dei, the norm is a Catholic state that restricts the religious freedom of non-Catholics, even though special circumstances may justify a regrettable departure from this norm in the form of a non-Catholic state. For the Council, the norm is a non-confessional state that protects the religious freedom of all citizens, even though special circumstances may justify a departure from this norm in the form of a mildly confessional state, Catholic or otherwise (e.g., Great Britain’s special recognition of the Church of England), that nonetheless protects the religious freedom of all citizens. These are obviously not the same thing. Many theologians hesitate to say that Dignitatis Humanae changed prior teaching. They labor mightily to reconcile Dignitatis Humanae with what I take to be the plainly irreconcilable teachings of Gregory, Pius, and Leo. For some theologians, this hesitation springs from an understandable impulse to spare the Church the embarrassment of admitting that some non-infallible papal teachings were mistaken and had to be changed. In my view, however, when that is what has happened, we should treat the matter candidly. Doctrina catholica is reformable, and dissembling about the teaching of the Church will, in the end, impair the credibility of the magisterium, not prop it up. As St. Paul said to St. Peter at Galatia, we must be straightforward about the truth of the Gospel. For other theologians, the hesitation to admit that Dignitatis Humanae amended prior teaching springs from a fear that, if we say that the teaching on the confessional state has changed, some unprincipled people will use this fact to argue that other doctrines (inevitably, these days, doctrines on sexual morality) can change too. We must thus be cautious in how we discuss these matters. Still, there should be no dissembling, and no one need worry that the Church may actually change its infallible doctrines. Infallibility itself guarantees that this will never happen. Thus, although Catholics may once have been required to give a religious submission of intellect and will to the proposition that the state should profess the Catholic religion, that is no longer the case. As the teaching of an ecumenical council, Dignitatis Humanae is at least doctrina catholica of high authority. If the Second Vatican Council contradicts earlier teachings of doctrina catholica in papal encyclicals, as it obviously does, those teachings must be regarded as abrogated. Today, the teaching of the Catholic Church is that all human beings have a right under the natural law to be free from coercion by the state in matters of religion, and “the state, whose proper purpose it is to provide for the temporal common good . . . exceeds the limits of its authority, if it takes upon itself to direct or to prevent religious activity.” The state should be neutral in matters of religion unless special circumstances require otherwise. Even then, the religious freedom of all must be protected. To these propositions, Catholics are required to give a religious submission of intellect and will. In short, the integralist doctrine of the confessional state is contrary to doctrina catholica. Robert T. Miller is a Professor of Law and the F. Arnold Daum Fellow in Corporate Law at the University of Iowa College of Law and a Fellow and Program Affiliated Scholar at the Classical Liberal Institute at the New York University School of Law. 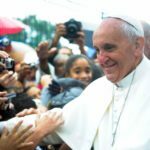 Can the Pope Change Catholic Teaching?